New Delhi, India: Aryan Books International, 2018. Printed Pages: 904.. Hardcover. New/New. New Delhi, India: Bharatiya Kala Prakashan, 2017. The Artha Samgrahah is an elementary treatise on Mimamsa Darsana, written Laugaksi Bharskara. This text simplifies the subject matter of Mimamsa and presents it in aclear way for the followers of Mimamsa-Sastra. According to Dr. Umesh Mishra : "It is an elementary book which is very useful for the beginners. Due to its easy and simple style the book has become so very popular amongest the Sanskritists". The book Artha Sangraha is divided into Six Chapters, viz. Upodghata, Vidhi, Mantra, Namadheya, Nisedha, Arthavada. The first chapter explains dharma Veda and its related subjects. The second chapter deals with Injunction. The essence of a Vedic injunction lies in conveying to us a matter that was not known before. The third chapter explains Mantra and its proper use. The fourth chapter deals with namadheya, i.e.., name. The fifth chapter of the Arthasamgraha, deals with Nisedha. The sixth chapter deals with Arthavada, which is the last of the five parts into which the vedais divided. Printed Pages: 407.. Softcover. New. New Delhi, India: Motilal Banarsidass Publishers Pvt. Ltd., 2017. Printed Pages: 192.. Tenth Reprint. Softcover. New. New Delhi, India: Motilal Banarsidass Publishers Pvt. Ltd., 2017. Printed Pages: 318.. Ninth Reprint. Softcover. New. New Delhi, India: Motilal Banarsidass Publishers Pvt. Ltd., 2017. Printed Pages: 272.. Third Reprint. Softcover. New. New Delhi, India: Chaukhamba Publications Caraka Samhita is a text book containing the core concepts of Ayurveda, which keeps it at the top of the ancient texts, but in the present education pattern it is too difficult to comprehend the essence of the text. An effort has been made to simplify the caraka Samhita and make it student friendly for easily memorizing the topics from exam point of view.Important concepts of caraka Samhita were mentioned separately along with references which are very much useful for the students. An effort has been made to write the Devanagari terms in English with Indo-Romanic translation which helps in easy understanding and memorizing the subject.This book is very much helpful for the undergraduates, postgraduates, and competitive exam appearing students. Printed Pages: 525.. Softcover. New. New Delhi, India: Chaukhamba Publications, 2017. Printed Pages: 1532.. First Edition. Hardcover. New/New. New Delhi, India: Motilal Banarsidass Publishers Pvt. Ltd., 2017. Printed Pages: 240.. Softcover. New. New Delhi, India: Motilal Banarsidass Publishers Pvt. Ltd., 2017. Printed Pages: 288.. Softcover. New. New Delhi, India: Motilal Banarsidass Publishers Pvt. Ltd., 2017. The Vyadiyaparibhasavrtti is the earliest Sanskrit work entirely devoted to discussing the metarules and underlying assumptions of Panini's formal grammar of Sanskrit (5th-4th century BC). As such, it has much to teach us about the early development of ideas in this difficult and technical area which spans Indology and the history of linguistics. While the author does not admit it explicitly, he borrows heavily from Patanjali's Mahabhasya, but often changes or disregards the original purpose of these borrowed arguments. 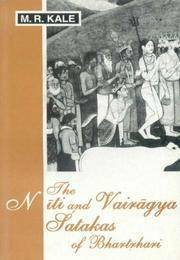 The discussions in the Vyadiyaparibhasavrtti are, in turn, typical of those used by later commentators, and the present book traces the development of these lines of thought from Patanjali in the third century BC to Nagesa in the seventeenth century. Printed Pages: 328.. Hardcover. New/New. New Delhi, India: Motilal Banarsidass Publishers Pvt. Ltd., 2017. Printed Pages: 176.. Softcover. New. New Delhi, India: D.K. Printworld (P) Ltd., 2018. Printed Pages: 151.. First Edition. Hardcover. New/New. 15 x 23 Cm. New Delhi, India: D.K. Printworld (P) Ltd., 2017. Manuscript Heritage on Astronomy covers varied topics on Indian astronomy. It has contributions of 38 well-known Sanskrit scholars and scientists of high repute. This volume is the outcome of a seminar organized by the Oriental Research Institute, Sri Venkateswara University, Tirupati, is published as part of the Samiksika Series (Samiksika 12) of the National Mission for Manuscripts. This bi-lingual book has seventeen papers in English and twenty-one papers in Sanskrit.It covers a wide gamut of topics such as our rich heritage in astronomy, moving zodiacs, Indian mathematics and mathematicians, astro identities in Vedas, Vedic Jyotisa, contribution of Aryabhatiyam, rituals and religious observances associated with many astronomical developments, methods of disaster predictions, and the application of astronomy in varied contexts among many other topics.This volume should invite the keen interest of many a scholar and should turn out to be of good use to the scholars working in the area of astronomy. Printed Pages: 332. . First Edition. Hardcover. New/New. 15 x 23 Cm. New Delhi, India: D.K. Printworld (P) Ltd., 2018. The experiences and knowledge from our past are recorded in manuscripts which have been handed down to us over several thousand years. The Government of India, through the Department of Culture, took note of the importance of this vast tangible heritage and, in order to preserve and conserve as well as to make access to this wealth easy, established the National Mission for Manuscripts (NMM). In order to disseminate the knowledge content of manuscripts, the NMM has taken up several programmes such as lectures, seminars and workshops. NMM has published the proceedings of the above-said programmes under the following series: Samrakshika (on conservation), Tattvabodha (comprising lectures based on manuscripts delivered by eminent scholars), Samikshika (research-oriented papers presented in the seminars), and Kritibodha (transcribed and edited texts prepared at advanced level manuscriptology workshops conducted by NMM).NMM has taken up a project for publishing rare and unpublished manuscripts in three forms: (a) facsimile, (b) critical edition with annotation, and (c) critical edition with translation. This series has been named as Prakashika. This volume, is twenty-eighth in the Prakashika Series.This book is the critical edition of Nutanatarivyakhya, a remarkable commentary by Bhagavatkavibhatta on Rasatarangini, a famous treatise of Bhanudatta on rasa theory. Bhagavatkavibhatta was a learned shishya of Ashadharabhatta, a renowned scholar on poetics from Gujarat. The Nutanatari is found in a single manuscript preserved in Oriental Institute, Baroda. It presents Nutanatari along with Rasatarangini text corresponding to the commentary, an introduction and elaborate notes. This is an attempt to introduce a versatile but unknown scholar who lived between eighteenth and nineteenth century in Gujarat, and thus to throw light on the meritorious contribution of Gujarat to Sanskrit Shastric literature. Printed Pages: 297.. First Edition. Hardcover. New/New. 17 x 26 Cm. New Delhi, India: Pratibha Prakashan, 2016. Softcover. New. New Delhi, India: Motilal Banarsidass Publishers Pvt. Ltd. Printed Pages: 447.. Hardcover. New/New. New Delhi, India: Motilal Banarsidass Publishers Pvt. Ltd., 2017. The Satakas are an original work. They are three in number, viz. Sringara, Niti and Vairagya. They must have been composed by the poet after he had renounced the world. Probably the Niti Sataka was written first, then followed the Sringara and lastly the Vairagya Sataka. In the Niti Sataka Bhartrhari inculcates certain principles intended to guide men in their daily life. First and foremost of these is Self-respect. He points out the value of independence and asks his readers not to lose self-respect in the midst of even overwhelming difficulties and trials in slokas couched in very impressive language. Another virtue to which the poet draws attention is perseverance. Men of firm minds, says he, carry to a successful conclusion whatever they undertake. A third virtue which he holds up for our admiration and imitation is Benevolence or service of our fellow-men. This lofty virtue he inculcates in verses which are at once beautiful and instructive. In the Vairagya Sataka the poet inculcates the principle of renunciation. He tells us to undermine desire, in verses which hold out the greed of worldly men to ridicule and the arrogance of the rich to contempt. He exhorts his readers to turn from worldly pleasures which give not lasting happiness but often disappoint, and to seek mental calm in the solitude of the forest. The poet often draws a glowing picture of the perfect happiness which men who have renounced the world enjoy. This volume comprises two of the three famous Satakas (collection of one hundred stanzes) of the famous poet philosopher Bhartrhari. The first of them the Niti Sataka is proposed to guide people in their daily life and it lays emphasis on the moral virtues such as self-respect, perseverance, benevolence and moral courage etc. The second, Vairagya Sataka exhorts the readers to turn away from worldly pleasures and seek mental calm in the solitude of the forest. It is edited by M. R. Kale who has added a simple commentary in sanskrit and english translation and copious notes. Printed Pages: 277.. Softcover. New. New Delhi, India: New Bharatiya Book Corporation, 2017. Printed Pages: 330.. First Edition. New. New Delhi, India: Agam Kala Prakashan The Book Present work entitled, Cultural Contours of Vedic and Post Vedic Age. The Vedic period was the cradle of not only the Indian civilization but perhaps that of the entire world. There is a raging debate going on for more than a century and a half for putting this civilization in a specific time frame without arriving at a definite conclusion that may not defy the evidence at hand. The ultimate solution may come from the age old Indian concept of sanatana, the one that does not have a beginning or an end. At least it is applicable to the Vedic culture whose continuity has never been challenged to this day. Beyond any doubt the Vedic culture can boast of the longest surviving culture as it is a living culture. What was practiced thousands of year ago is still followed by the people of this land. The reflection of the society contained in the vast ocean of the Vedic literature comprising the Samhitas, Brahamanas, Aranyakas and the Upanishads called Sruti and followed by equally vast post-Vedic literature given the name Smriti, provide us glimpses of the unfathomable wisdom of the people who not only composed it but practiced it as a way of life. The culture that originated in the Saptasindhu land comprising the north-west of the Indian sub-continent gradually spreading throughout the length and breadth of Bharatavarsha and even beyond the geographical contours of this land. That is why India has served as the beacon of the spiritual light to the entire world since times immemorial.Dr. Sushma has given a lucid exposition of present delicate discussive Cultural Contours of Vedic and Post Vedic Age. The present work by scholars, culture & philosophy readers besides the general readers. Printed Pages: 200.. Hardcover. New/New. New Delhi, India: Motilal Banarsidass Publishers Pvt. Ltd., 2017. Softcover. New.